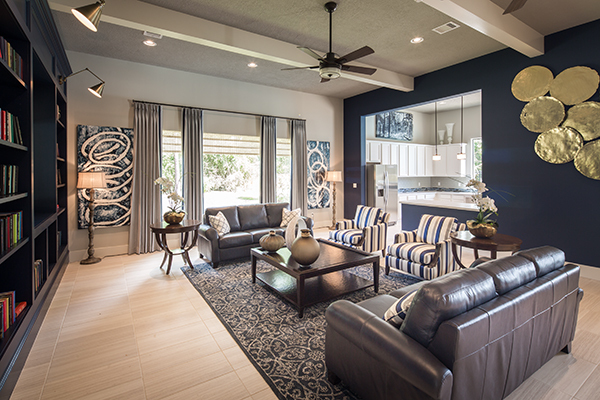 Encompassed by an abundance of green space in a convenient northwest Houston location, the gated community of Woodtrace will include the impressive amenities that discerning new home buyers have come to expect from a Friendswood Development Company community. 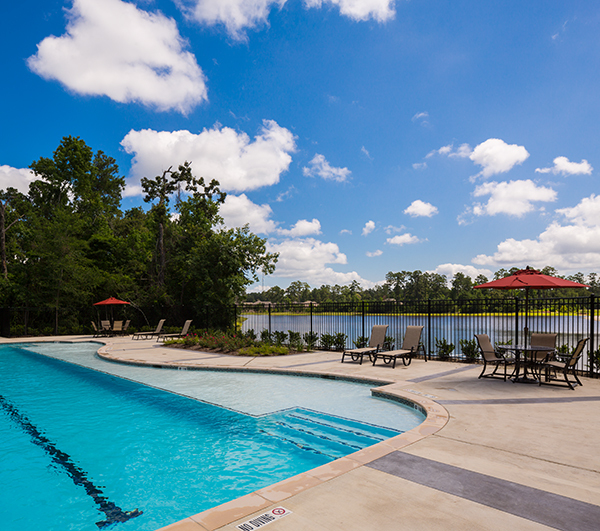 Amenities in Woodtrace include a recreation center with a pool, a clubhouse, and five miles of wooded greenbelt trails. 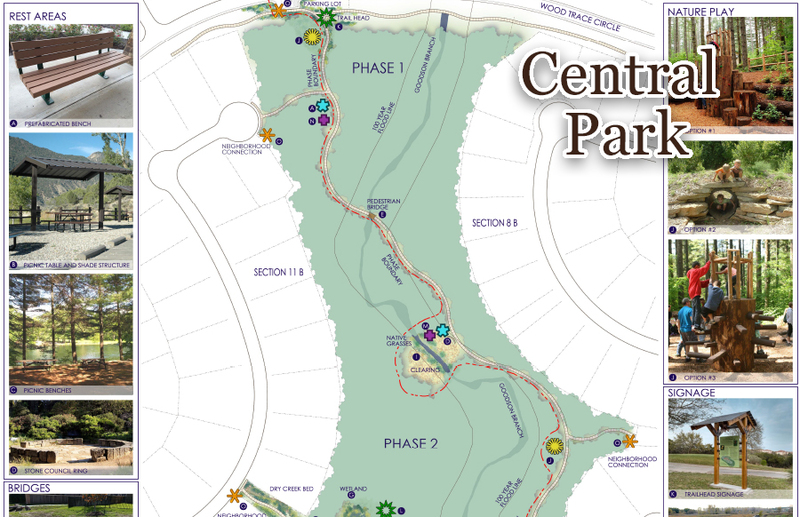 One of the highlights of the community amenities at Woodtrace is our Central Park. The park includes a natural creek, footbridges, and trails. The most stunning feature of this wooded neighborhood is the 23-acre Lake Woodtrace. Located next to the recreation center in the heart of the community, Lake Woodtrace is a real spring-fed lake that houses a canoe/kayak launch and fishing dock. 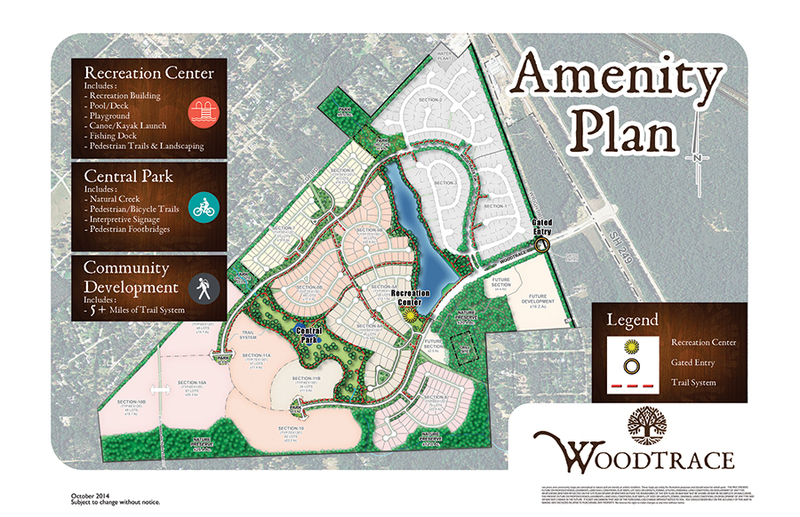 Click on the image to the right to view an enlarged Amenity Plan, or contact us today to view everything in person! The Woodtrace Recreation Center includes a beautiful clubhouse with a full kitchen, which residents may rent for parties and events. 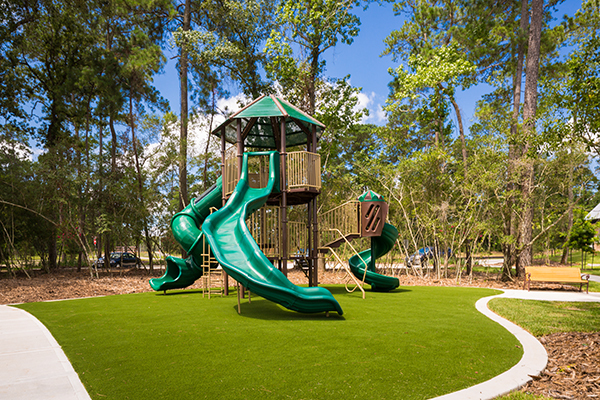 The Recreation Center area also includes a playground and boat launch. 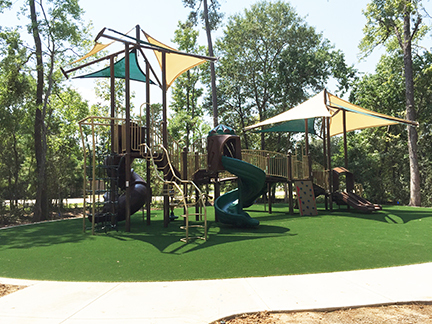 A pocket park with playground is now open in Woodtrace.